As Walmart attempts to stay relevant in a rapidly changing commercial climate, it’s been acquiring smaller businesses in an effort to diversify and add talent to their executive roster. With arch-rival Amazon looming and employing a similar strategy, Walmart has been buying out corporations at a rapid pace since the middle of last year. Walmart is 55 years old, and it’s going through a mid-life crisis. However, where most of us buy fancy cars or go skydiving, the massive corporation is reinventing itself. It’s no secret that there’s been widespread doubt as to Walmart’s ability to hold its position at the top of the retail food chain, and it’s grounded in a lot of fact. When someone as notable as billionaire Warren Buffett states that they don’t believe you have what it takes to compete in today’s market, it’s time to evaluate where you stand and how you operate. It seems they’ve decided to roll with the punches and adapt, taking on a new approach of buying out companies that are thriving and adding them to the already fearsome Walmart arsenal. After all, if what you’re doing isn’t working, the best way to fix that is to learn from those that have it figured out, and make them work for you where possible. So, from entire businesses to the people that run them, Walmart has been augmenting itself with the best, brightest and most successful. Since August of last year, they’ve made several high-profile acquisitions in a variety of markets, doing what they do best — acting as a one stop shop for anything and everything you may need. Obviously, the commercial elephant in the room is Amazon, a company that does the same thing but has achieved mastery over the modern retail engine — ecommerce. It’s clear that they’re both vying to occupy the top spot in American retail, and whichever can give consumers the most varied options and efficient service will remain standing when the smoke clears. With that said, let’s take a look at some of the companies and talent they’ve picked up recently, and what advantages and fresh minds these are bringing to the embattled chain. It’s been a long road for Walmart since 1962; the retailer has grown and evolved many times before it resembled what you see today. Founder Sam Walton began with the idea that he wanted to charge less than his competitors by reducing his own profits. This enabled him to increase the amount of goods sold, along with the number of customers he serviced. It’s this low cost, high volume philosophy that Walmart embodied throughout its existence since the beginning. In 1970 the brand went public, and in 1972 — ten years from the opening of the first store — they had opened 51 locations and recorded sales of $78 million. By 1980 they reached $1 billion in annual sales (faster than any other store at the time) and ran a total of 276 stores nationwide. Throughout the 80s, Walmart exploded. They opened the first Sam’s Club and expanded on their warehouse retail business. They also launched the largest private satellite communication network in the United States, and united all their stores on one system. With the opening of the first Walmart Supercenter in 1988, they brought grocery and and general goods under one roof, capping off the 80s as a decade of evolution for the chain. In the 90s, Walmart truly surged ahead of all other retailers to become an unquestioned American mainstay. In 1991, they set their sights beyond our borders, opening a Sam’s Club in Mexico City. At that point, they ran almost 2,000 stores, and a year later celebrated $1 billion in sales in a single week. By 2000 they’d doubled to nearly 4,000 stores as well as the launching their website. Despite their success as a physical retailer, however, they were still five or six years behind the likes of eBay and Amazon respectively, a gap they’ve seemed to have struggled to close and is now costing them dearly. It wasn’t until 2002 when challenges to Walmart’s dominance began to really materialize. This was the year Amazon turned its first profit after seven years of losses in the name of growth. After years of selling strictly books, they began their foray into the realm of general retail. Despite those rough seven years, Amazon’s luck changed when they widened the scope of their goods and made a yearlong effort to increase operational efficiency. While the major boom of ecommerce was still a few years off, Amazon had sown the seeds of change. Walmart spent the majority of the 2000s continuing its physical expansion policy while battling public image issues. Typically seen as the evil supercorporation, they undertook initiatives like providing aid for victims of Hurricane Katrina in 2005 and committing to sustainable agriculture in 2010 to fight off an onslaught of negative press. While this was happening, Amazon was booming to a level that reminded some of Walmart’s 90s-era takeoff, while also gaining a mostly positive reputation as an innovator. This brings us to today, with a dominant and ever-expanding Amazon prompting Buffett’s condemnation of Walmart, and the necessary evolution of the older chain to fit a commercial world that increasingly operates online. Each of the first four months of 2017 marked a large business acquisition by Walmart, a breakneck pace that showcases a calculated and intentional effort to diversify. However, to get an idea of where this started, we need to look a few months further back, in August 2016, with Walmart’s buyout of Jet.com. Walmart knows quite well that the world is shifting toward an online economy. In order to get in on the action and remain competitive, they needed to do something big that would not only shore up their somewhat lackluster ecommerce business, but make a statement that they weren’t just going to roll over and fall by the wayside. The Jet.com acquisition was that statement. For those that haven’t heard of it, Jet.com is an online retailer that uses unique discounts to draw in customers. For example, you can lower your total price by ordering more than two of a given item, or ordering with a debit card as opposed to putting your purchase on credit. The idea is that as you shop, if you make things easier or cheaper for Jet.com, they pass the savings on and discount you. First of all, a $3 billion acquisition is absolutely massive — in fact, it’s the largest ever for an online startup. It’s apparent that Walmart has huge plans and high expectations for the website, but we’ve yet to see exactly what will come of it. We can speculate, however, that it has a lot to do with optimizing their online consumer experience. Jet.com has not only done extensive research into how smooth and user-friendly interaction can improve sales, but has implemented what they’ve learned to great effect. Another crucial part of the deal is the hiring of Jet.com CEO Marc Lore to run Walmart Ecommerce U.S. As the man with the vision behind the newly acquired retailer, he’s been given the highest authority to direct Walmart’s ecommerce venture from here on out. It makes sense: buying the business will obviously be useful, but keeping that business’s leadership on board will enable them to tap into that talent for innovation in the future. Walmart’s reputation is a key issue for them moving forward, and it seems likely that they’ll try to adopt Jet’s attitudes and methodology within their own brand. Having the talent and infrastructure of this new company under their belt gives them a template for the present, and valuable talent for the future. The ShoeBuy purchase marks Jet.com’s first acquisition under the Walmart umbrella. Founded in 1999 as one of the first online shoe retail companies, they’ve been around the block a few times and are well versed in the ways of ecommerce. Accessible via phone, computer, and tablet, they’ve got the seamless shoe-shopping experience down to a science. Now operating under the domain and name Shoes.com, the ShoeBuy of yesteryear will retain its status as a standalone site with the beneficial change of having access to now-parent company Walmart’s wealth of resources. While this marks yet another smart acquisition by Walmart, this move also shows us that Lore and his team are being given a long leash to operate on their own for the benefit of Walmart’s growing online family. It appears that Lore and Walmart aren’t content to simply absorb these smaller companies, but intend to vassalize them in an effort to create a larger network of separate corporations that all report to the larger brand. 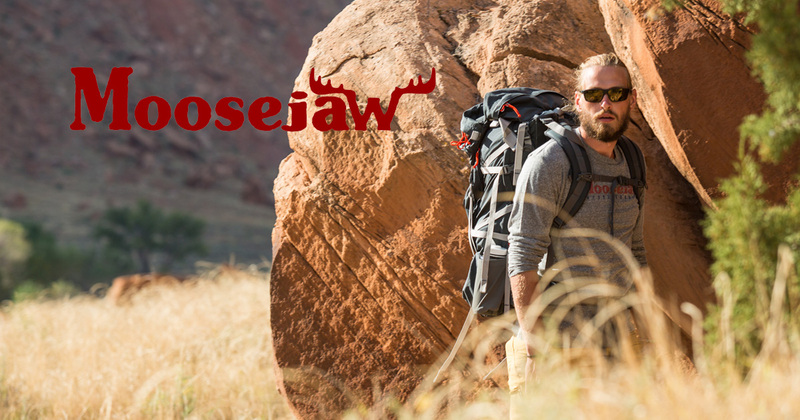 In what has been interpreted as a direct move to compete with Amazon’s powerful outdoor apparel business, Walmart acquired Moosejaw.com last February. Keeping with their trend of allowing the companies they buy to operate under their own banner, Moosejaw retains much of its autonomy since the purchase. Another ecommerce veteran, the 25-year-old company might be what Walmart needs to challenge Amazon’s dominance in the great outdoors. While a proven leader in their online market, Moosejaw also maintains 10 physical retail locations. Coupled with online sales, they’ve managed to reach over $100 million in yearly sales while maintaining a pattern of solid, steady growth. Moosejaw also holds another advantage — a successful and well-established social media presence. They’ve invested heavily in online marketing research and base a large portion of their business model off of those results. The brand is targeted toward consumers aged 20-30, a demographic that’s been difficult for Walmart to reach. Well, until now with Moosejaw’s being brought into the fold. Though the $51 million price tag might pale in comparison to spending on the Jet acquisition, it fills a necessary and crucial void in Walmart’s consumer base. You’ve probably noticed a trend by now. Walmart and Jet.com are going all-in on apparel. Another acquisition made through Jet.com, ModCloth is an indie-style women’s clothing store based in Austin, Texas, operating only one physical location in addition to their extensive online presence. Heavily geared toward millennials, they’ve based their brand around body acceptance and variety — a much-needed public image boost for Walmart who seemed to only care about selling what’s cost effective, not what’s attractive in the eyes of trendy consumers. Like the Moosejaw acquisition, this is a clear effort by Walmart to appeal to a younger consumer base that has remained difficult to access until now. It’s far from a one-sided deal, though. Designers that work and sell through ModCloth will now be able to sell their goods through Jet.com, giving them access to a much wider consumer base than they had previously. 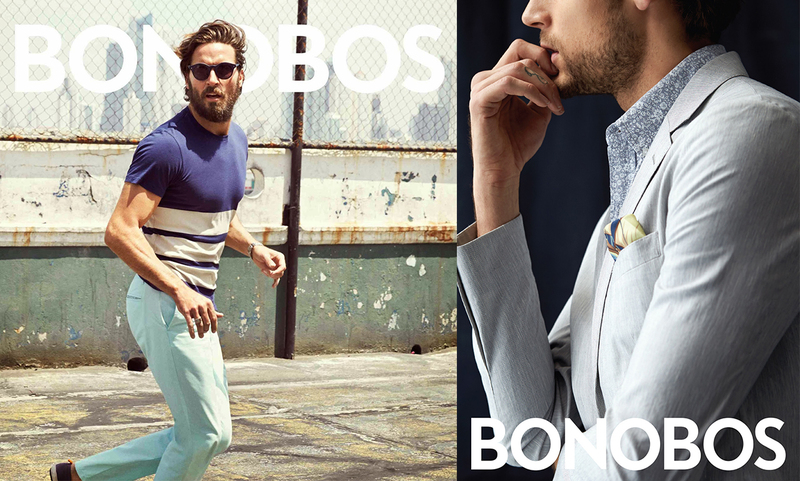 Last on our list, and the most recent of acquisitions by Walmart, is Bonobos, a high-quality men’s fashion retailer. Their business model, like Moosejaw and ModCloth, is based heavily online and appeals mostly to younger consumers. Their idea is a streamlined and extremely consumer-friendly online shopping experience. Interestingly, they maintain numerous physical locations, but they don’t actually sell their clothing there. Customers can make appointments, go to their nearest “Guideshop”, and have themselves fitted with Bonobos brand clothing by a professional. When they find their outfit of choice, they leave the store hands-free, and their purchase is immediately shipped to their home. It’s a tactic that plays heavily on showrooming, the idea that many customers now go to physical stores, try on clothing, shop for products, and then shop online to find the best price. It turns out that although online shopping is extremely easy and efficient, people still like to try before they buy, and actually feel the product in their hands before pulling the lever on a purchase. Normally seen as a problem for retailers like Walmart, the Bonobos approach allows consumers to try products physically and allows the retailer to retain the sale because online efficiency is just another part of the business model. And Walmart isn’t just acquiring a business here. According to the New York Times, they’re gaining some real intellectual capital, too. Joining the Walmart team as Leader of Digital Brands, is Bonobos Chief Executive Andy Dunn. Just like the hiring of Lore from Jet.com, this shows us that Walmart isn’t just interested in buying innovative companies, but also the innovative minds behind them. Walmart’s fast-moving ecommerce strategy under Marc Lore is a decisive and intelligent step for the chain. The results have made themselves apparent quickly, as their online sales rose a whopping 63 percent in the first quarter of this year. The addition of Jet.com’s large marketplace along with their clothing company acquisitions are having an immediate effect, and it seems to be exactly what the 55-year-old chain needed to jump-start its journey into the future of online retail. The road for Walmart, however, will be a long one. Despite the impressive growth, Amazon still accounts for about half of online sales in the United States. But, if they can sustain this recent growth spurt and continue their upward trend, we may be seeing a real contender in the race for the top spot in worldwide ecommerce. Let’s just hope they don’t bleed for seven more years as Amazon did before they took over as a digital retailing titan.